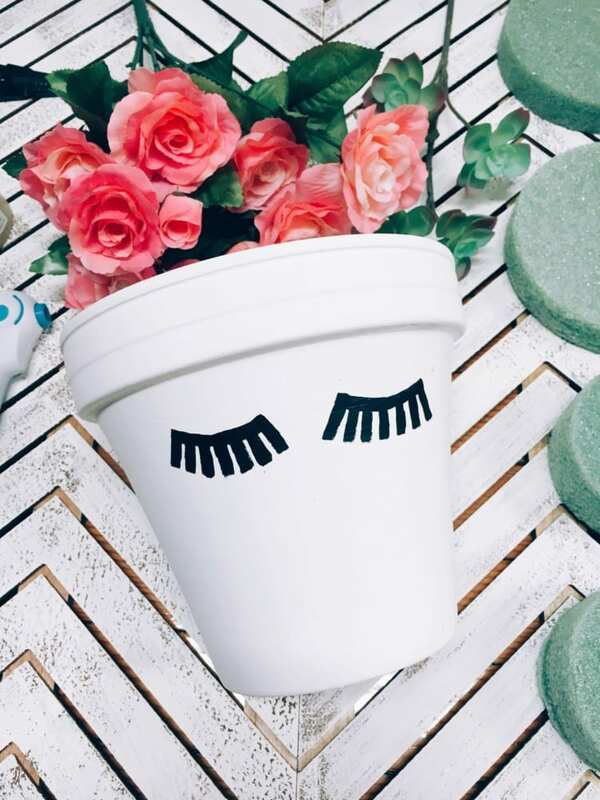 I had been scrolling through instagram, as you do, and I stumbled across the most adorable unicorn flower pot I’ve ever seen. I quickly took a screenshot of the photo (I always forget about the save option oops!) and told Andrew that I had to make an emergency trip to Michael’s because I just knew that I could replicate this flower pot myself. In all truthfulness, I am not a crafty person but I’ve forever wished that I could be. And I try. Oh do I try. I always have these grand visions of my final product will look like and then I remember that I can barely draw a straight line on paper so I’ve definitely had my hits and misses when it comes to crafting. Either way, I always enjoy the process and I wanted to share this one project that I actually feel good about in case you are crafting challenged as well but want to try something easy! I completed this project slowly over about a week but if you have the luxury of being a stay at home person, I have no doubt that it could be completed in two-three days at most. I picked all of my supplies up at Michael’s but you can also order similar items on Amazon if that’s easier for you. I put links to everything below (note that they are affiliate links so if you use them, I will get a small commission). 1. Using the large paintbrush, paint the flower pot white. I did 3 coats on mine just to make sure it was evenly painted and a pure white. 2. Using a pencil, draw on the eyelashes. Once you’re happy with the shape and length, paint over the pencil using the small paintbrush and the black paint. I ended up painting mine several times before I was happy with them. Each time I wanted a redo, I went back to step one and repainted the area white again! 4. Using the large paintbrush, give the cardboard cone 2-3 coats of white paint. Once this dries, give it several coats of glitter glue until you reach your desired look. 6. Using the wire cutters, chop the flowers off of the stems leaving little to no stem attached to the head of the flower. Repeat until you have your arrangement. I also cut off some of the leaves so I could use them to hide the Styrofoam if someone were to look from a bird’s eye view. 7. 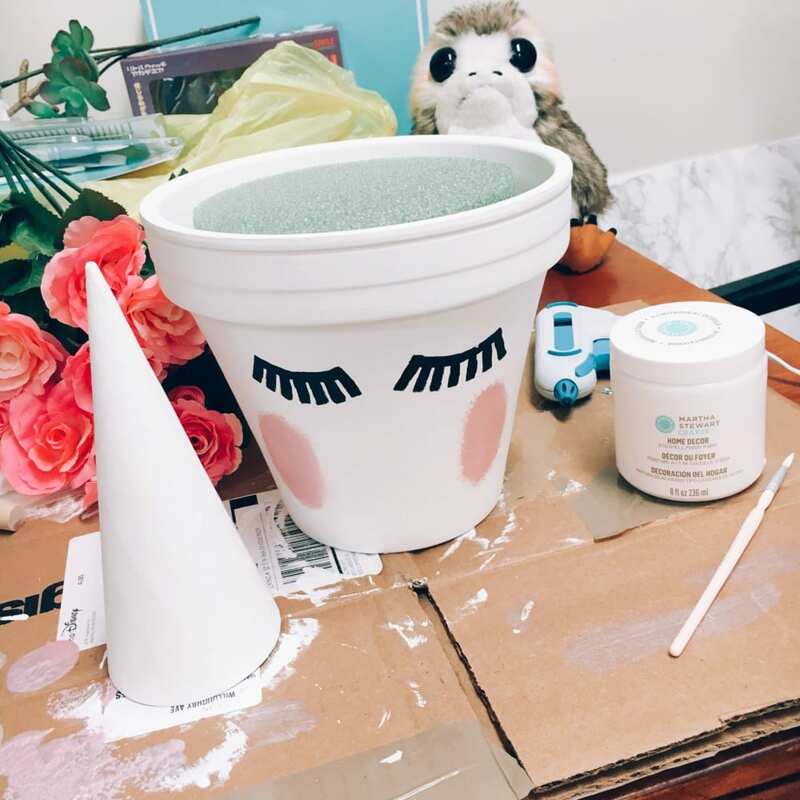 Place the painted cone toward the back center of the Styrofoam and place the flowers around it, lining the edge of the flowerpot. 8. Once you’re happy with your layout, hot glue the horn down. 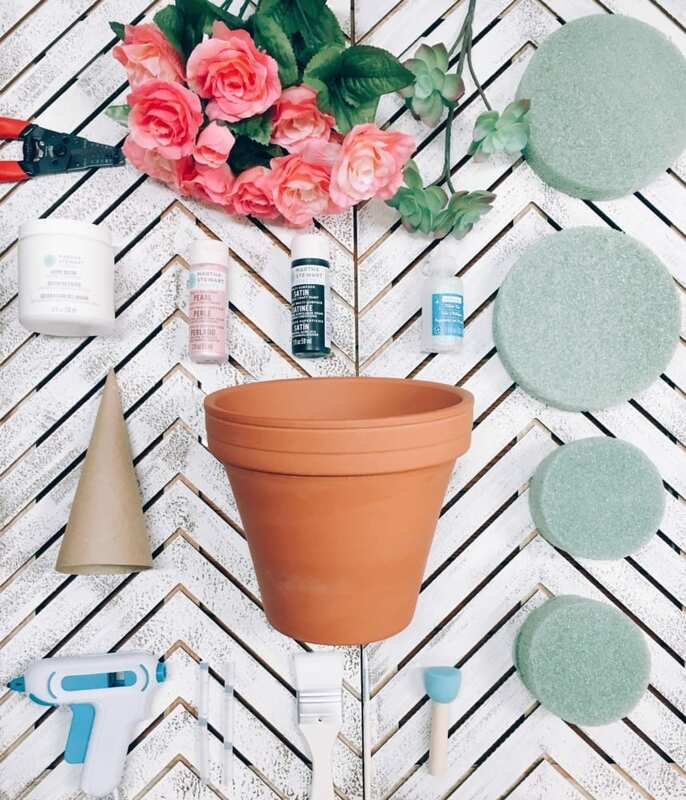 Do the same for the flowers, gluing the fabric of the lower petals to the rim of the flower pot. I alternated large and small flowers and even stacked a couple to give the illusion of a flower crown. Next, hot glue down the leaves to hide the Styrofoam and cut flower endings and voila! 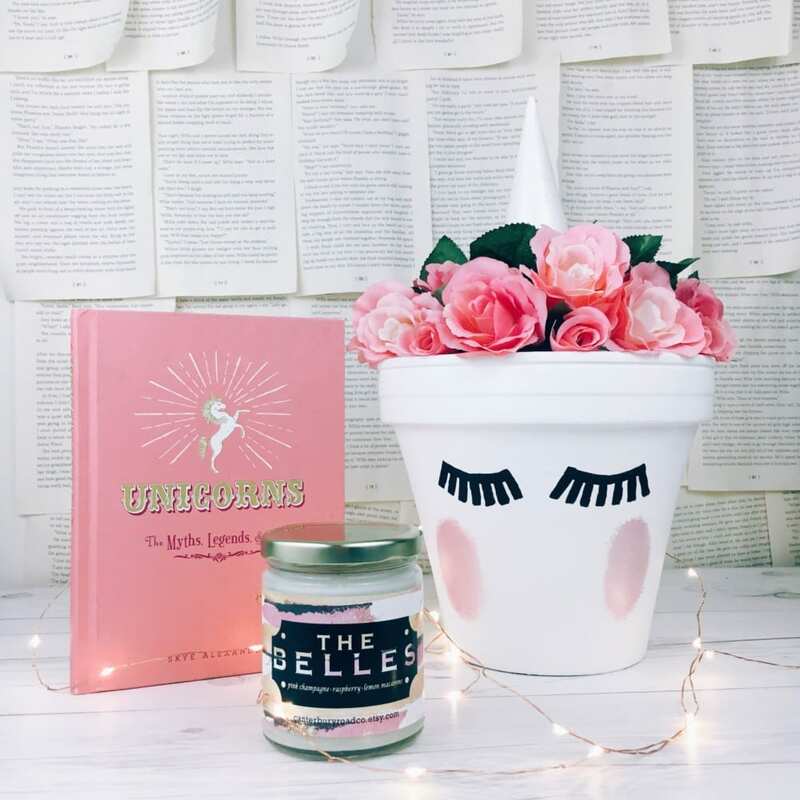 You are now the proud owner of a unicorn flower pot. That pot is really adorable and those flowers complete them. Very beautiful and innovative mind you have. Keep sharing such creative decorations. Would love to read more.